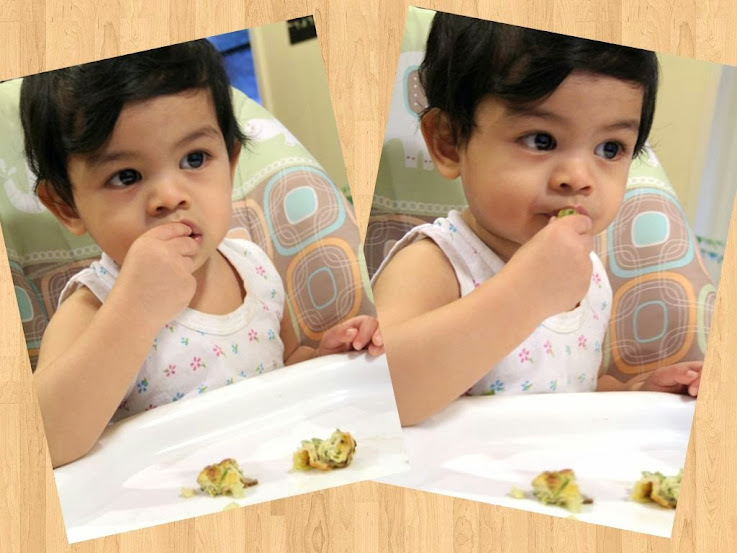 I have always homemade baby A's foods ever since he started solids, we started with the good old avocado as his first solids, then progressed to cereal and different kinds of vegetables and fruits. 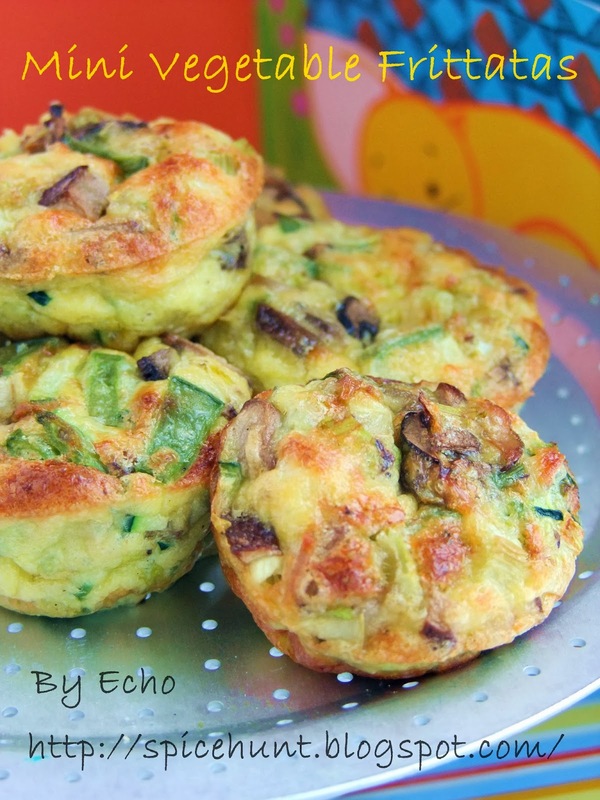 He is always a vegetables and fruits lover, getting enough protein and carbohydrate is the challenge at the moment. 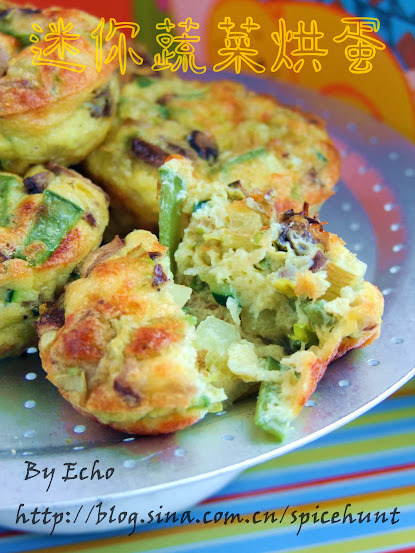 I liked that this recipe called for plenty of vegetable, eggs and cream, it is a high calorie (which is needed for toddler's development) and very well balanced food. Baby A had two at a go, not bad for someone who doesn't particularly fancy egg dishes. Note：It really is any type of vegetables, I used whatever I found in my fridge! 1. Clean and chopped the vegetables. Whisk together egg, cream, salt and black pepper powder. 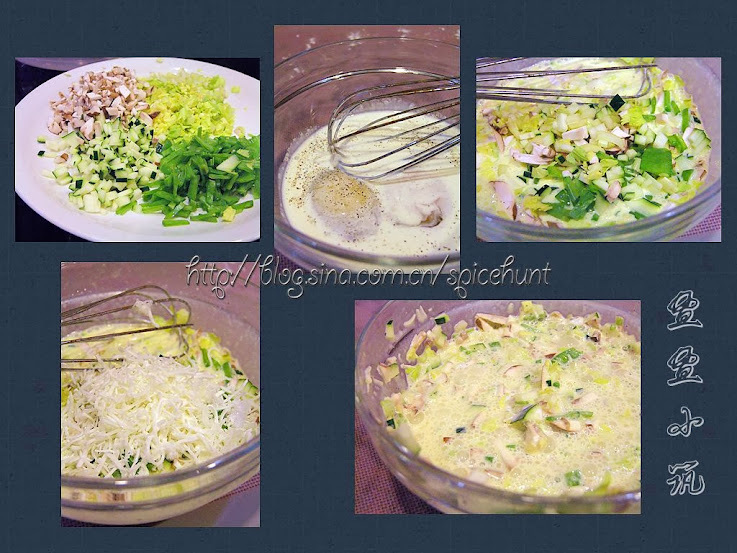 Add the veges and cheese and mix well. 2. 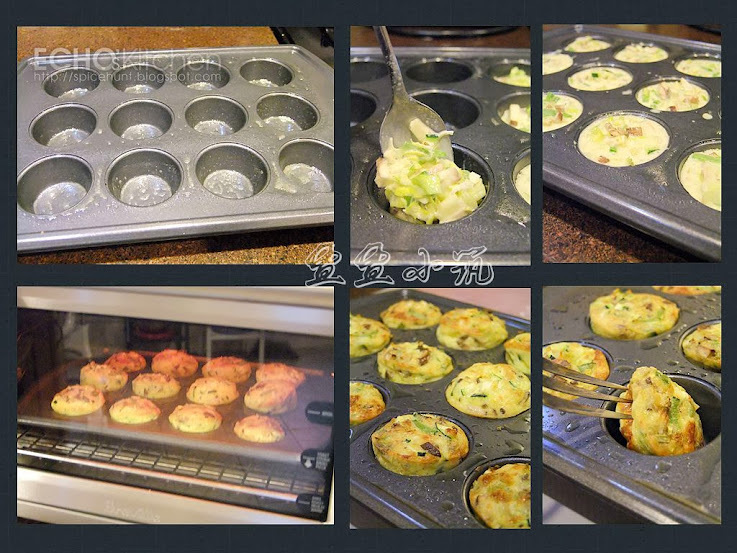 Spray a layer of cooking oil over a mini muffin pan, spoon the mixture into the pan until about 90% filled. 3. Preheat oven to 360 F （180 C)，bake for 20 minutes, turn to Broil and broil for 5 minutes or until slightly golden in colour.